This cosy studio unit offers a queen bed, Freeview TV, clock/radio/phone, private shower and toilet facilities, and a new mini kitchen. This unit provides a queen bed in a separate bedroom. Lounge &, kitchen facilities which includes 2 hotplates and microwave, a dining table and a comfortable sofa. This Unit also has a Full Queen Bed that pulls out from the wall (by night) and is folded away and looks like a cupboard during the day. Freeview TV, clock/radio/phone, private shower, and toilet facilities. This comfortable unit provides queen bed and kitchen facilities which included 2 hotplates and a microwave in the main room, with 2 single beds in a separate room. Freeview TV, clock/radio/phone, and private shower and toilet facilities. This cosy studio unit offers a queen bed, Freeview TV, clock/radio/phone, private shower and toilet facilities, and complimentary tea and coffee. This unit provides a queen bed in the main room, with a single bed in the adjacent bedroom, as well as mini kitchen facilities comprising of a microwave, toaster, and fridge. Freeview TV, clock/radio/phone, private shower and toilet facilities. This cosy unit offers a King bed (that can be split into 2 Single Beds) in the main room and 2 single beds in adjacent bedroom, as well as a new kitchen comprising of hotplates, microwave, toaster, and fridge. Freeview TV, clock/radio/phone, and private shower and toilet facilities. This unit provides a queen bed in the main room, with a single bed in the adjacent bedroom, as well as mini kitchen facilities comprising of a microwave, toaster, and fridge. Freeview TV, clock/radio/phone, private shower and toilet facilities. This unit is our wheelchair accessible unit. This spacious unit contains a king bed (can be split into 2 singles) as well as a self-contained kitchen which includes 2 hotplates and a microwave and separate bathroom with spa bath. It also includes Sky TV, video, clock/radio/phone, and private shower and toilet facilities. This Unit is not suitable for children of any age. A comfortable unit that includes king bed, lounge area, a self contained kitchen area which includes 2 hotplates and a microwave, and bathroom with spa bath. The unit also offers Sky TV, video, clock/radio/phone and toilet facilities. Our 2 bedroom cottage. This unit contains 2 bedrooms, 1 with a Super King bed and the other with 2 Singles but can be made into a King . This unit has an open plan Kitchen/Dining and Living area. It also has it's own private courtyard. This cosy studio unit offers a queen bed, Freeview TV, clock/radio/phone, private shower and toilet facilities, and has kitchen facilities which include 2 Hotplates, microwave, fridge, jug and toaster. 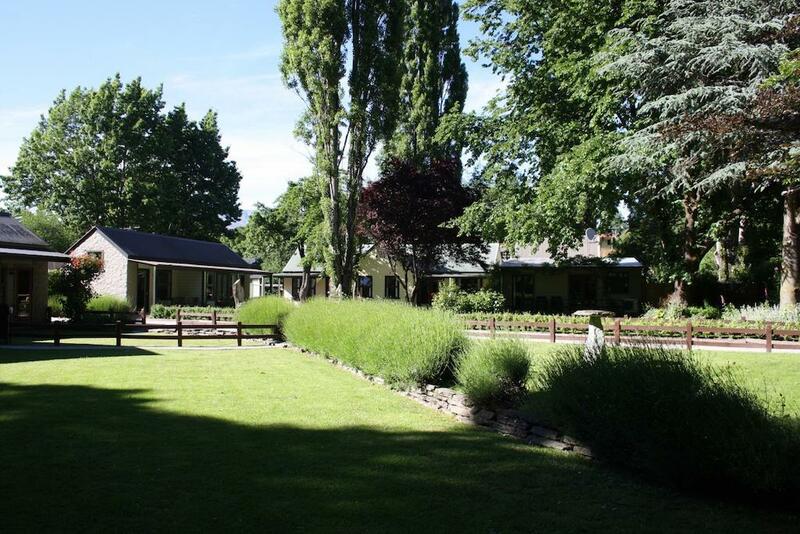 Shades of Arrowtown offers superb motel-style accommodation in a beautiful garden setting. 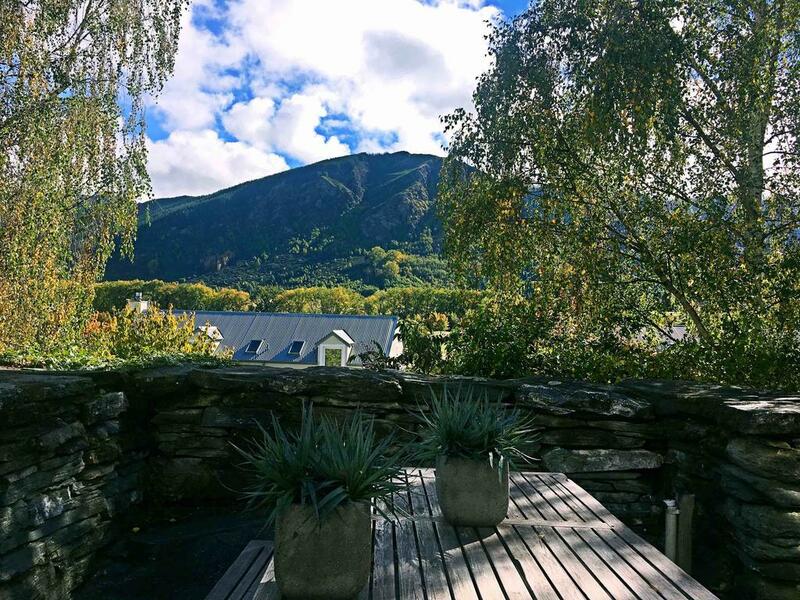 Located in the historic Otago township of Arrowtown, and blending perfectly with the existing historic architecture we are situated on Arrowtown's famous tree-lined avenue. We provide affordable, modern accommodation and a warm welcome. All our units are comfortable, cosy and tastefully furnished and we offer a range of different accommodation options that include studio, 1-bedroom apartments, and superior units (with spa bath). Our 10 units are positioned in a beautiful garden setting, helping to make your stay with us a peaceful, and relaxing one. 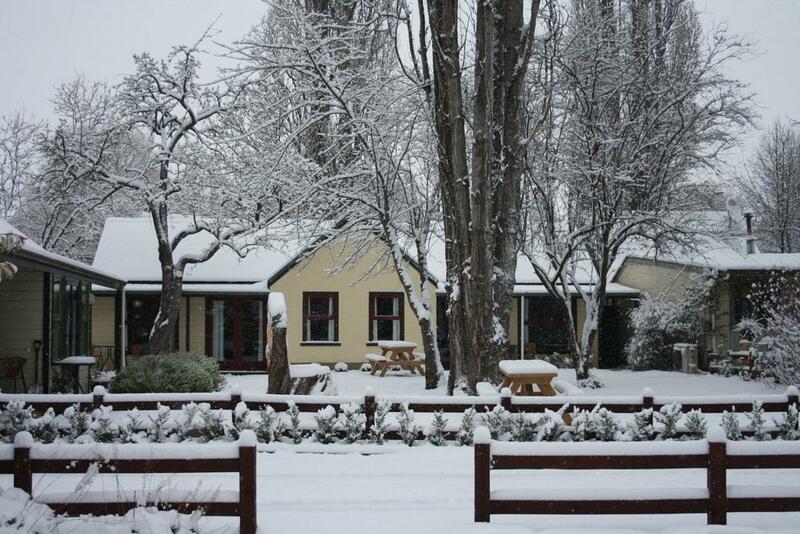 It is a scenic 20 minute drive from Queenstown, and close to all its ski fields. 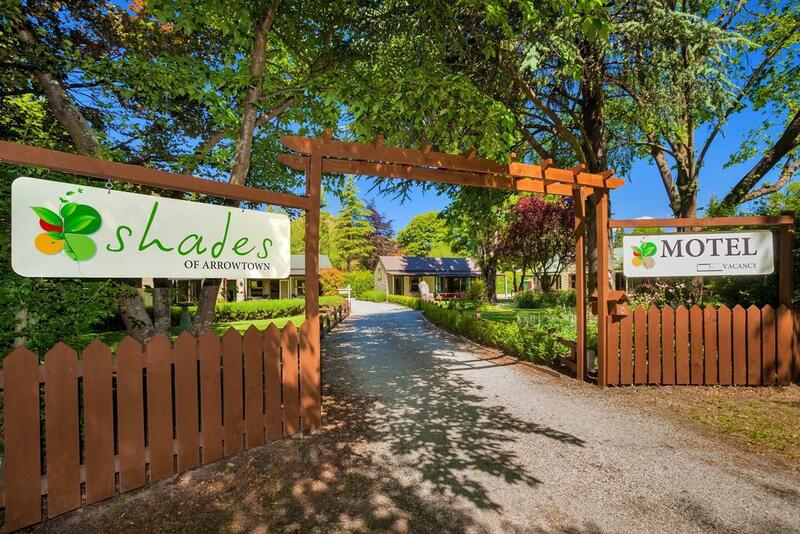 Shades of Arrowtown offers you a relaxing stay at a convenient central location only a minute's stroll from the boutique shopping area and famous historic sites, such as the Chinese miners cottages. Only 20 minutes drive from Queenstown, we're conveniently located for skiing holidays and are close to an international-standard golf course, 4WD areas, mountain biking courses, world-renown fishing sites, and award-winning wineries. Unit rate may apply at peak times. All prices are for up to 2 people. Extra person in units - $30 per person per night / Babies $10.00 per night. A Credit Card Surcharge May Apply To Some Transactions. Port-cots are available for hire at $10.00 per night . Smoking is not allowed in any of our units and if you do smoke, then you may be charged appropriate cleaning and loss of income charges. A minimum of 7 days notice (from check-in time) is required for a cancellation, and may incure an administration fee. During peak times, a non-refundable deposit maybe required. 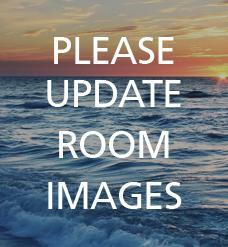 Cancellations within 48 hours will incure a minimum of 1 nights stay. A "no show' will be charged the full amount of the booked stay. Guests under the age of 18 must be accompanied by a guest of 18 years and over. Check-in is available from 2.00pm on the day of arrival. Check out time is 10am on the day of departure. Early check-in and/or late check-out is by arrangement only.